I can not remember who was chirping loudest on Twitter but the news that Almond Dream Non Dairy Ice Cream had launched into Waitrose caused quite a frenzy. I had to beg Waitrose social media team for a store list and whooped with delight that several stores within my reach were stockists. You are probably thinking what's the fuss about. For me it's all about the flavours. Mint chocolate chip was a childhood favourite pre-allergy diagnosis. As much as I love Swedish Glace (I will certainly not be abandoning it) I wanted, hell I needed, mint choc chip back in my life. Almond Dream ice cream has slowly been arriving into stores (full store list is on my Facebook page post dated 6th October). The flavours available are Salted Caramel, Praline Crunch, Velvety Vanilla and Mint Chocolate Chip. They are free from dairy and gluten and suitable for vegetarians and vegans. At the moment the introductory price is £3.74 a tub. The luxury dairy free ice cream market has suddenly become competitive with Coyo, Jollyum, Bessant & Drury (Coconut Collabrative) and Booja Booja. My verdict is I think Almond Dream is wonderful. I brought three flavours, I passed up Vanilla because it's not very exciting to me. I am really enjoying the tub and spoon experience. Each flavour is creamy and tasty. 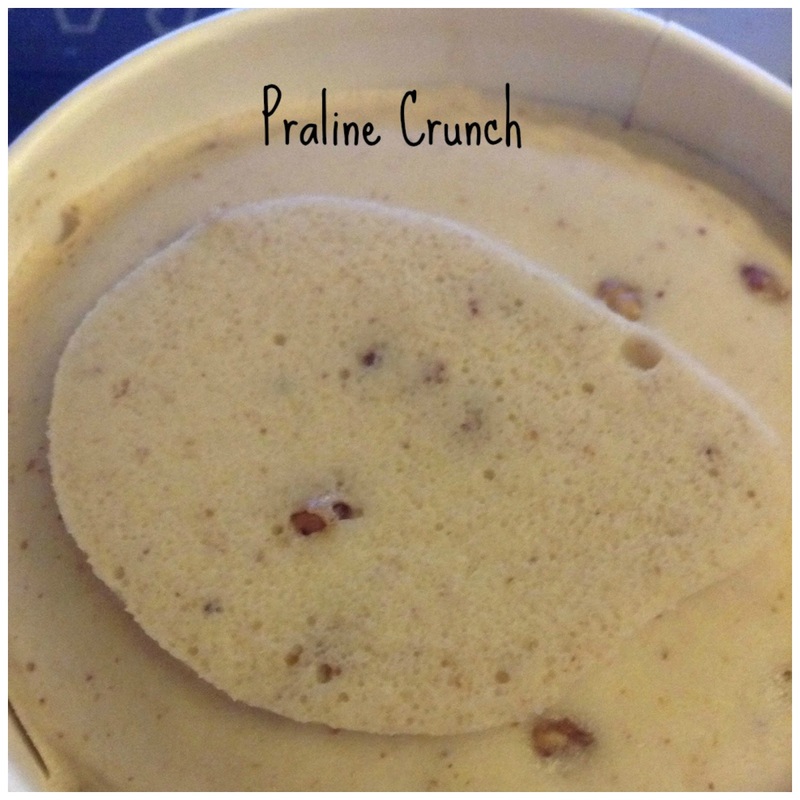 I will say that the Praline Crunch is very similar to Jollyum Maple & Pecan. Normal dairy ice cream is a long distant memory but I can tell there is an after taste which gives a hint of almonds. It's not a criticism, just worth noting. So what are you waiting for? Run now as fast as you can to the nearest Waitrose. Perhaps you are already with spoon and tub in hand, what do you think? 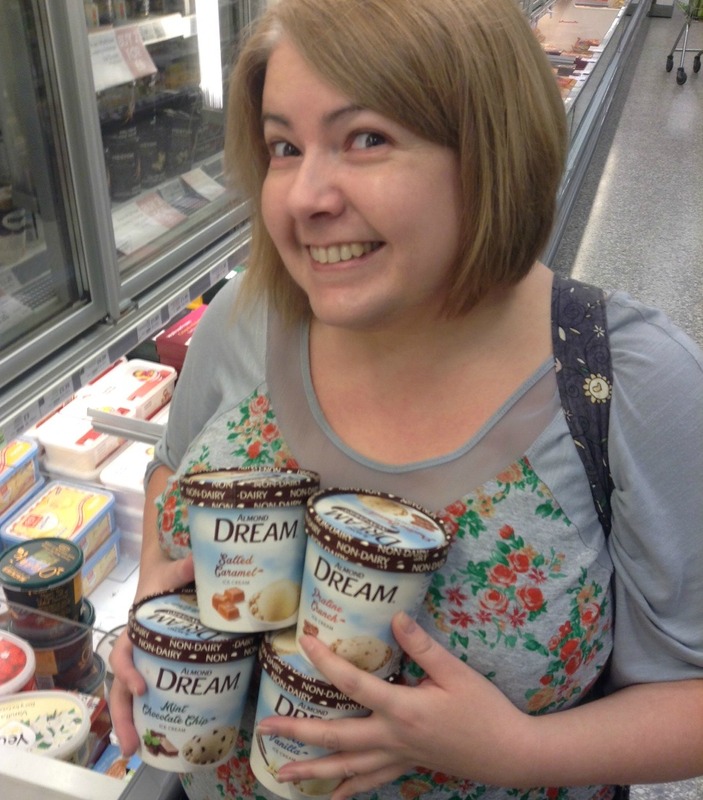 Are you enjoying Almond Dream non dairy ice cream? Warning - this dairy free crazy person can be seen wandering the supermarket searching for ice cream, approach with caution! I think that just became my favourite comment EVER!!! !